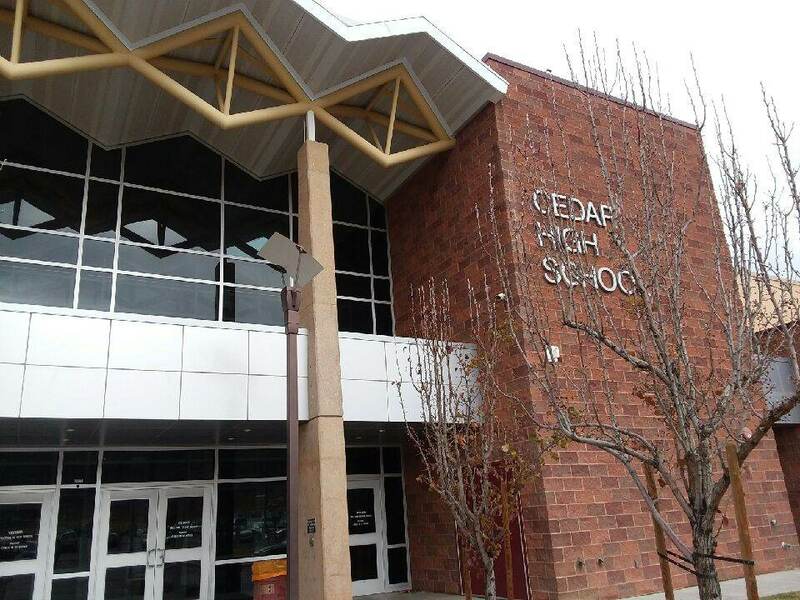 CEDAR CITY — Should Cedar High’s mascot be changed? Although this is not the first time the question has arisen, it is the issue being studied by a committee appointed by the Iron County School District Board of Education. According to a recent tweet by the school board, the committee will hold two public hearings on the issue, on Dec. 4 and Dec. 18, with both meetings taking place at 7 p.m. at the Cedar High School auditorium. Members of the public are invited to attend the meetings and voice their opinions regarding the use of Redmen, which has been used as the school’s mascot since the early 1940s. Rich Nielsen, the school district’s director of secondary education, said that following a short overview presentation, members of the public will be given up to three minutes each to express their views. Additionally, written comments and opinions may be sent anytime via email to mascot@ironschools.org. Members of the committee will be present at the meetings and will use the input gathered to help them make recommendations to the school board based on their findings, Nielsen said, adding that the 28-member mascot committee includes current CHS students from each grade level, future students of CHS who are currently at Cedar Middle School, school administration, district administration, school employees, alumni and Paiute tribal leadership. Every year, school and district leaders receive questions and complaints about the use of the mascot. Sometimes it is just a question as to why we would still consider a group of people as a mascot. 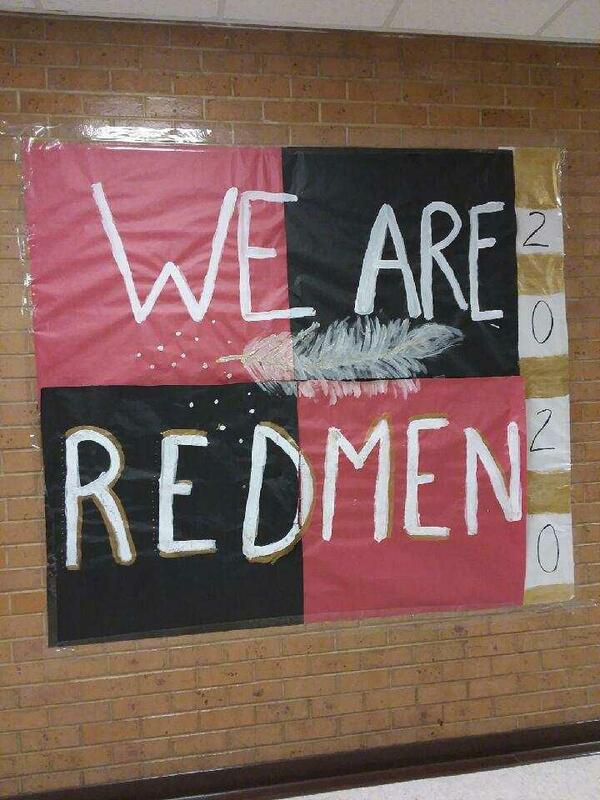 Other times, it is more pointed and direct, in terms of, do we know that ‘Redmen’ is a racial slur and a derogatory term for Native Americans? A couple of years ago, we had a drill team issue that came about because of miscommunication and misunderstanding between coaches and tribal representation. Last year, we had students on social media receiving threats for posting pictures of themselves as they were dressing up in Native American outfits for a school function. This resulted in students changing their social media profiles and caused significant distress on the students. This year, we had a student government leader being accused of racism for posting a photo of himself in front of a Native American backdrop. There are multiple examples every year that we hear about that cause us concern for our current students and future students. Although “redman” may have been commonly used in the past, it, along with other similar terms, has since fallen out of usage, regardless of whether it is perceived or intended as derogatory, Nielsen added. “You’ve got a lot of heritage, and you’ve got a lot of changes over the last 70 years, too,” he said. The issue of using Native Americans as mascots has been a long-standing debate, with the controversy extending to professional sports teams such as the Washington Redskins, the Kansas City Chiefs, the Atlanta Braves and the Cleveland Indians. Stanford University was among the first U.S. colleges to change its mascot, switching from Indians to the Cardinal in 1972. Since then, numerous institutions have acted in similar fashion. In 2005, the NCAA collegiate athletics organization directed 18 member schools to stop using Native American names and imagery in their mascots and logos. A few of them, however, including the University of Utah, successfully petitioned to keep their mascots, citing the support of local tribes. 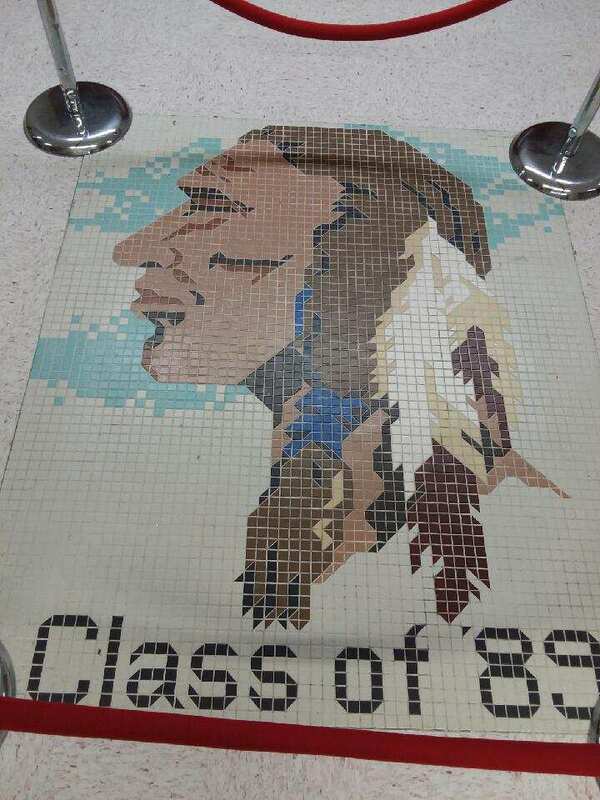 At the high school level, Cedar is one of a handful of schools in Utah that employ Native American imagery in their mascots, with other notable examples including the Escalante Moquis, the Uintah Utes, the Bountiful Braves and the North Summit Braves. Like the University of Utah, Uintah High has had the ongoing approval and support of the local Ute tribe. Nielsen noted that Cedar’s situation is somewhat different, as the term “Redmen” does not refer to one specific tribe or band. The University of Utah’s teams, in fact, were actually called the Redskins until they switched to the Utes in the mid-1970s. Since then, they have relied on the support of Ute tribal leaders to continue using the mascot. “They have a direct connection in that they have cultural exchange agreements, educational agreements, scholarships and all kinds of things to support that tribal community, which is great, but it is different when it’s not tied to a specific tribe and there’s not a cultural agreement,” Nielsen said, adding that he recently browsed some through old CHS yearbooks from the 1970s and 1980s. The ever-widening reach of social media has also played a factor, Nielsen said, noting that many of the recent concerns have involved posting photos that have been widely shared on the Internet and social media, prompting angry responses and even threats. As far as the costs associated with implementing a possible change, Nielsen said the school has already been shifting away from using the word “Redmen” on its athletic uniforms and the like. “Over the last decade, the school has made it a point to avoid the use of symbols on school uniforms because of the ongoing concerns and have instead gone with just ‘Cedar’ on their uniforms,” he said, adding, “That effort will result in significantly reduced costs if the board opts to vote for a change. The most significant costs will be with signage around the school and marquees. Just last year, Rich High School in Northern Utah was able to reach a compromise regarding its controversial use of the Rebels mascot. Although the school had previously used a gray-clad Confederate soldier from the Civil War era, it switched to a Revolutionary War military figure instead, while opting to keep the nickname Rebels. Dixie State University in St. George, in the face of similar pressure over its use of Rebels as its mascot, switched to the Red Storm in 2009. Although the new name lasted for several years, it never really caught on with students and alumni. In early 2016, a more successful rebranding took place, and Dixie State became the Trailblazers, embodied by a large bison. Another recent instance of a team making mascot concessions without changing its name involves the Cleveland Indians major league baseball team, which is reportedly phasing out its use of “Chief Wahoo,” the big-toothed caricature that has been part of the professional team’s logo since 1947. According to recent news reports, the team has agreed to discontinue using Wahoo’s image on its uniforms, apparel and other merchandise, effective the end of the recently completed 2018 baseball season. In an unusual move to attempt changing a mascot before it even began being used, a petitioner campaigned to change the mascot of Davis County’s Farmington High School before the school opened in the fall of 2017. The man reportedly wanted it changed from Phoenix, because one of the word’s plural forms “Phoenices” reportedly sounded like “penises.” In that instance, the petition failed, and school officials opted to retain the Phoenix as Farmington’s mascot. On a somewhat less controversial note, Washington County’s Crimson Cliffs High School (scheduled to open next year) was originally slated to be the Titans, but school district officials switched it to the Mustangs several months ago, as the local Tuacahn High School for the Performing Arts already uses the Titans as its mascot, even though it doesn’t field athletic teams. Although there is at least some precedent for changing a school’s mascot and/or colors, it is a rare occurrence, at least among Utah high schools. Such changes have happened a few times historically, when two schools were consolidated into one, as happened in the cases of Emery, Rich, and Piute high schools many years ago. Iron County School Board member Michelle Jorgenson said she hopes community members won’t hesitate to provide their feedback regarding the issue. “I’m anxious to hear what the community has to say, and what their take is on it, and how the tribe feels about it at this point in time,” Jorgenson added. Over the past few days, as news of the upcoming public hearings has spread, many commenters have posted on social media voicing their opinions about the issue. One commenter noted that the term Redmen was originally meant to be inclusive, collectively referring to of all of the Native American tribes whose children attended Iron County schools, such as the Pauite, Hopi and Navajo tribes. “Always a Redman,” “Redmen forever!” “Proud to be a Redman!” and “Save the Redmen!” were among the numerous comments seen in opposition to the idea of changing the mascot. Should the school board ultimately decide to change the mascot, based on the committee’s recommendations, they may not have to look far for a possible alternative: the girls sports teams at Cedar High already use the term “Lady Reds” to refer to themselves. This has led some to suggest that the boys teams could simply go by “Cedar Reds” instead. Similar to the Cincinnati Reds baseball team, the shortened moniker could be used to simply refer to a uniform color. But that, in turn, raises yet another possible issue, as the “red” used in Cedar High’s school colors is actually a darker maroon or burgundy, rather than traditional red. In times of political correctness I knew years ago this would be a target. (Cedar High) My high school mascot named Indian. (So Cal High) So far it still is.